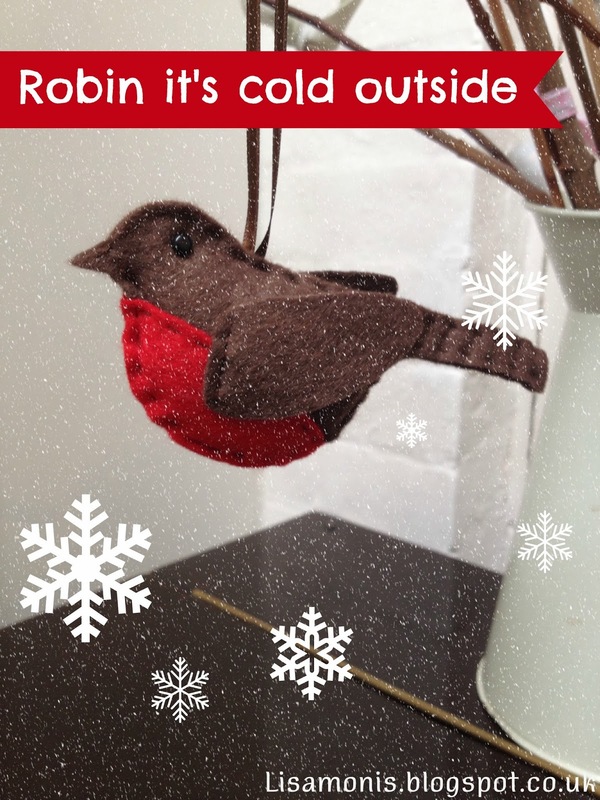 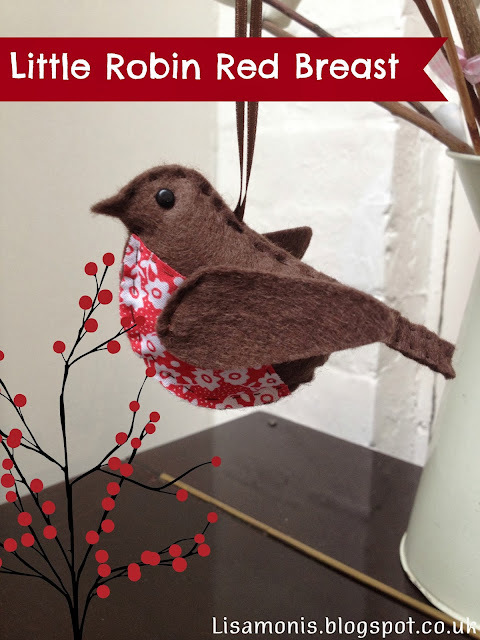 So we're in November now and although I'm not ready to be all Christmassy yet, I have been busy creating these little winter robins to perch on your tree...tweet tweet! 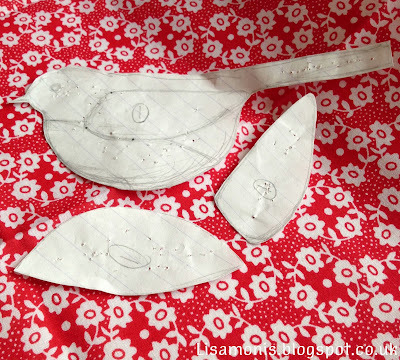 As always I design and draw my templates by hand and then use them to cut out my pieces of felt and fabric. A lovely pile of paired up little red tummies and brown flappy wings. 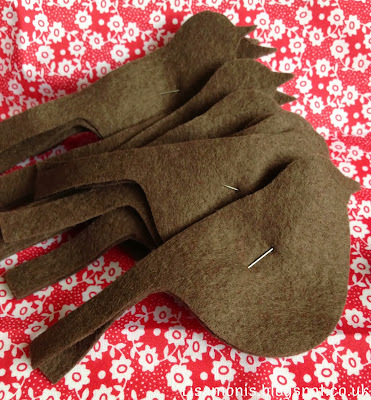 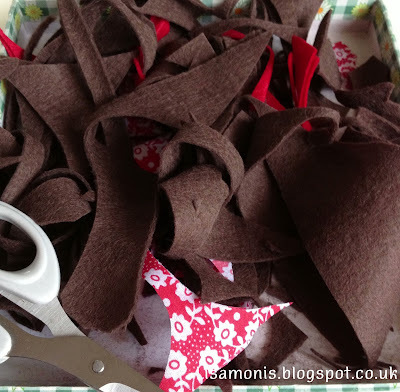 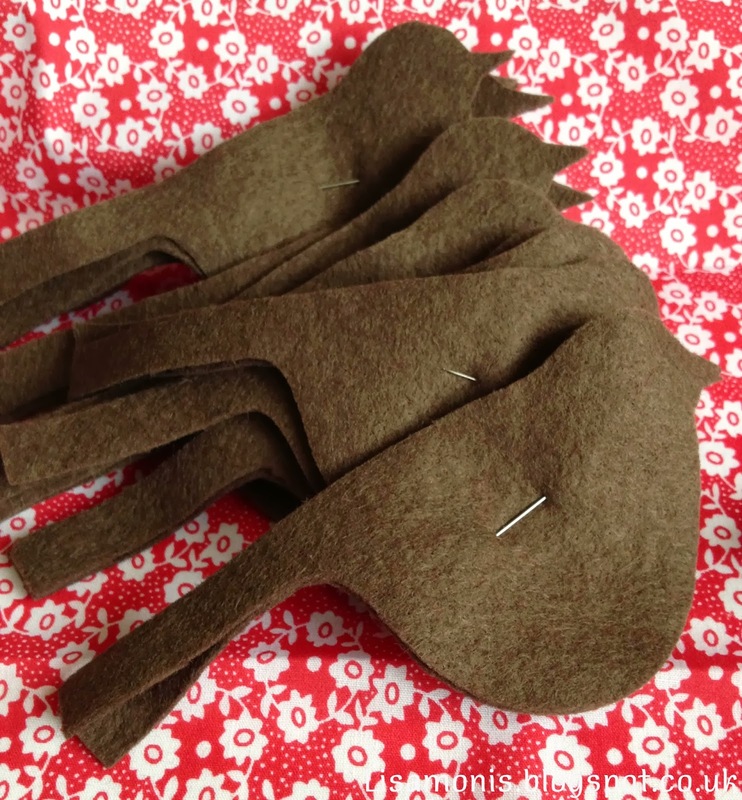 These birdie shapes are ready to have their little black brad eyes, lovely, plumb, red tummies and flappy wings sewn into place. 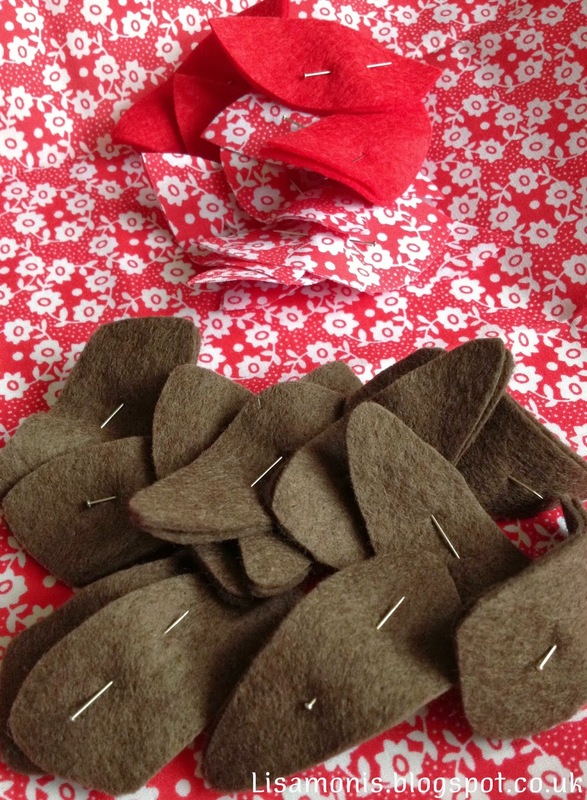 Then at the end I have a very satisfying pile of cut offs ready to go into my scraps box ready for when I need tiny bits of fabric and felt.